A4 Wine Print! 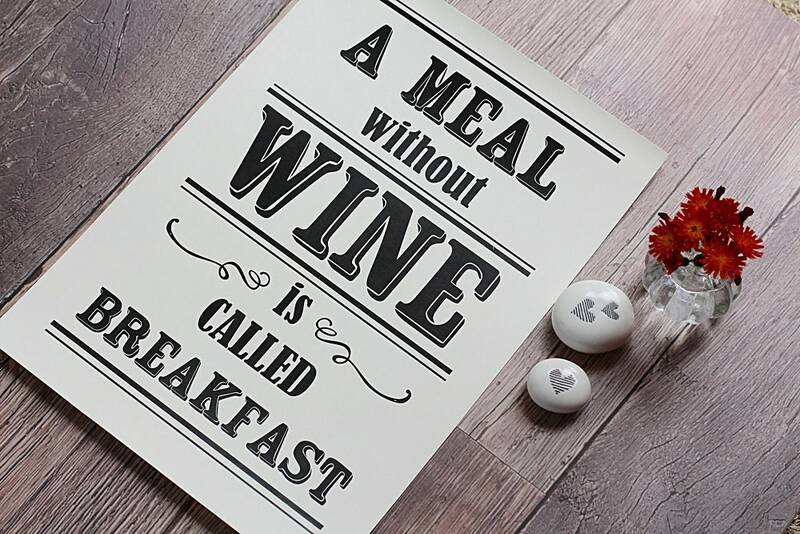 Perfect Gift for the Wine lover in your life! Ready to buy, unframed, free postage. 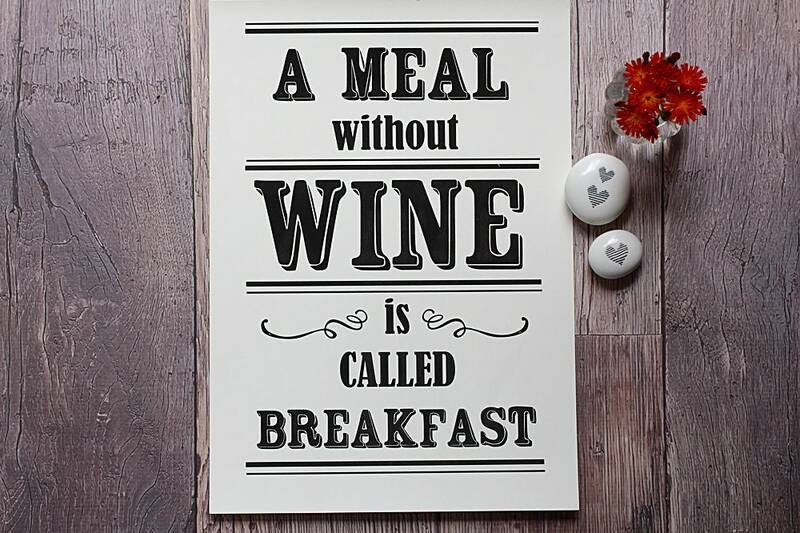 "A meal without wine is called breakfast"
The Only Woman that gets more excited about Paper, Print and Wedding Stationery than you do! "I wish I was a unicorn so that I could stab idiots with my head"
This is perfect for a gift. Digitally printed on 270gsm White board. It is A4 (210mm × 297mm) digitally printed to one side only in black font on a slightly textured off white card . Due to the custom nature of paper products, returns and exchanges are not accepted. Returns based on colour are not accepted. All computer monitors are different, so your printed stationery may not match what you see on your monitor. Your printed invitations will be close to the colors shown on our printed color chart, but due to the custom nature of printing, these colors can vary slightly over time and may not match perfectly. We always make sure each order looks beautiful and that the color is pleasing and as true as possible to our chart. Please note that all designs and items for sale are ©hattieboodesigns2017 and are for personal use only. Reproduction is strictly prohibited, as is printing by a third party. Any unauthorised attempt to copy these unique designs will be legally pursued. I carefully check each order prior to shipping, however, if there is a problem with your order please let me know as soon as possible and I will gladly fix it for you!